Keep your door panel by replacing all moving parts and parts which are subject availability for the door. These include where applicable, cables and cones, springs, spindles and if requested the lock and keys. Our garage door full service includes a 3 year parts and labour guarantee on all mechanical and moving parts. So this provides complete peace of mind, if you have any problems at all, you can just get in touch and we’ll be happy to help. As with all mechanical items such as your boiler, your bicycle or your car, your garage door has a lifespan which could be improved significantly with regular maintenance. We always recommend that your garage door is maintained by a fully trained service technician. And of course, with the full service option comes with a 3 year parts and labour guarantee. 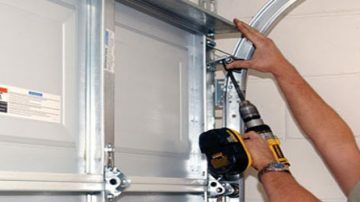 We can service most garage regardless of age but the condition of the door will determine whether this is possible and if not we can offer new door installation.